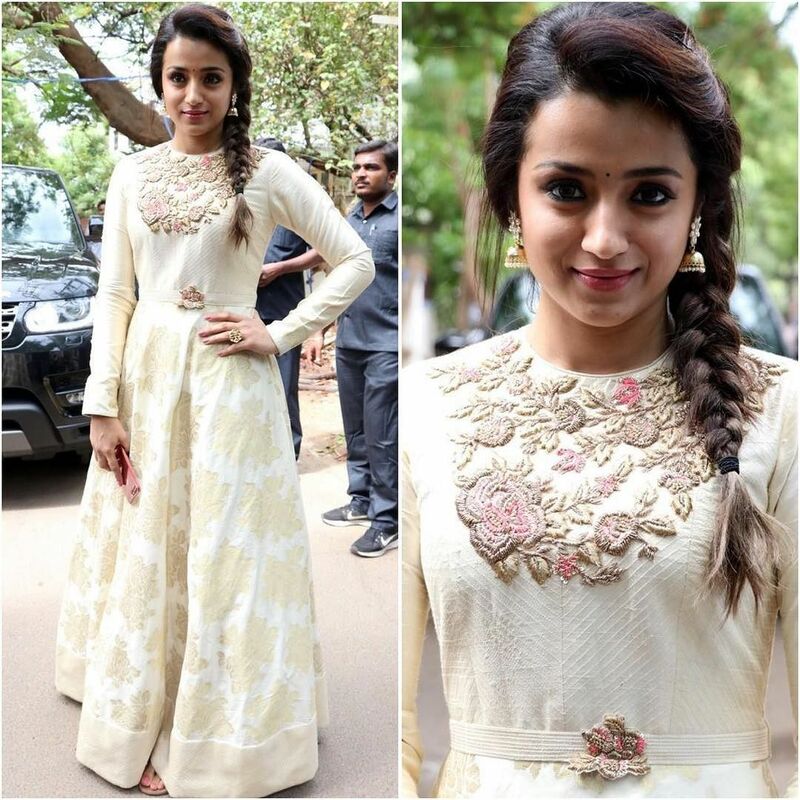 Trisha attended her new movie launch wearing an ethnic maxi gown from the label R for Rupamani. 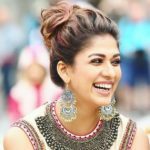 The sleek side braid and antique jhumkas worked wonders to her outfit. 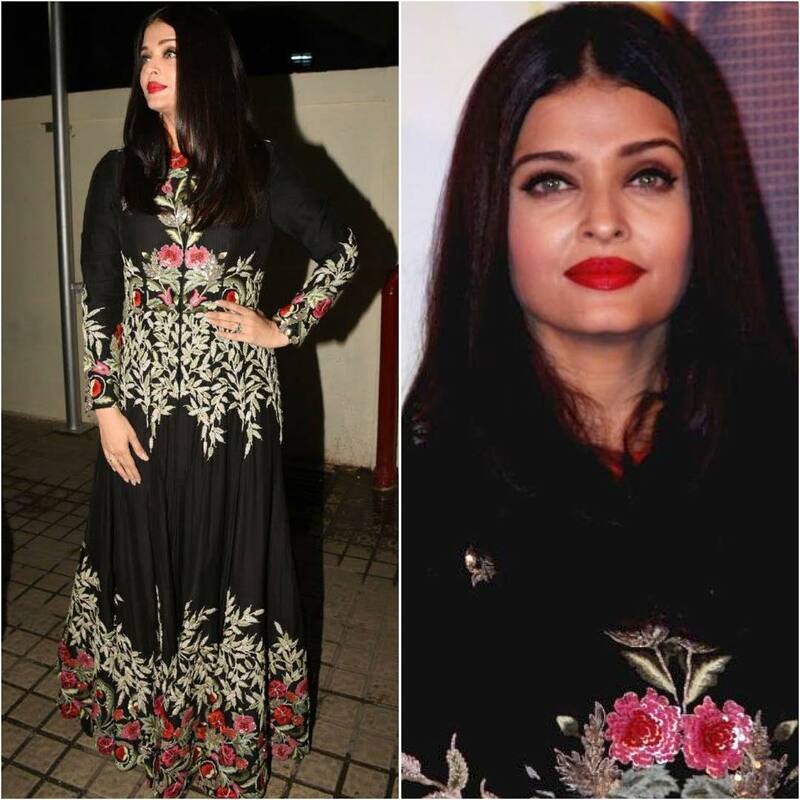 Aishwarya Rai sported a Anamika Khanna outfit for the music launch of a Marathi film. We got the point, red lips are enough sometimes. 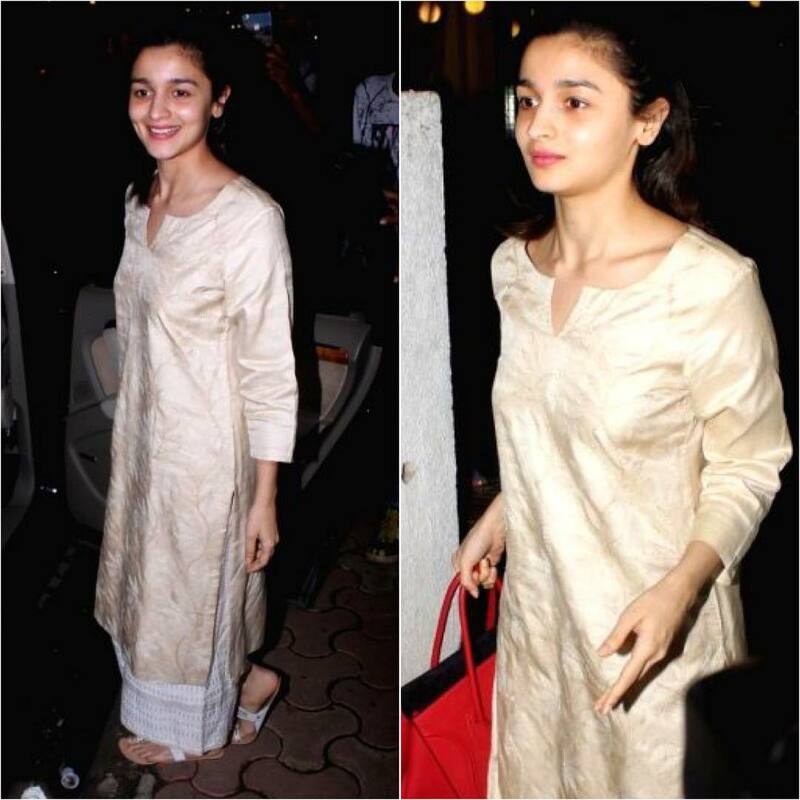 Alia Bhatt’s off duty outfit is all about comfy palazzo pant and kurtha. We envy how flawless she looks even with no makeup to pollute her bare skin. Deepika Padukone walked out of airport wearing ripped denims with a crop top. More than the outfit we love the accessory section here. The bag, boots, sunglasses..everything! 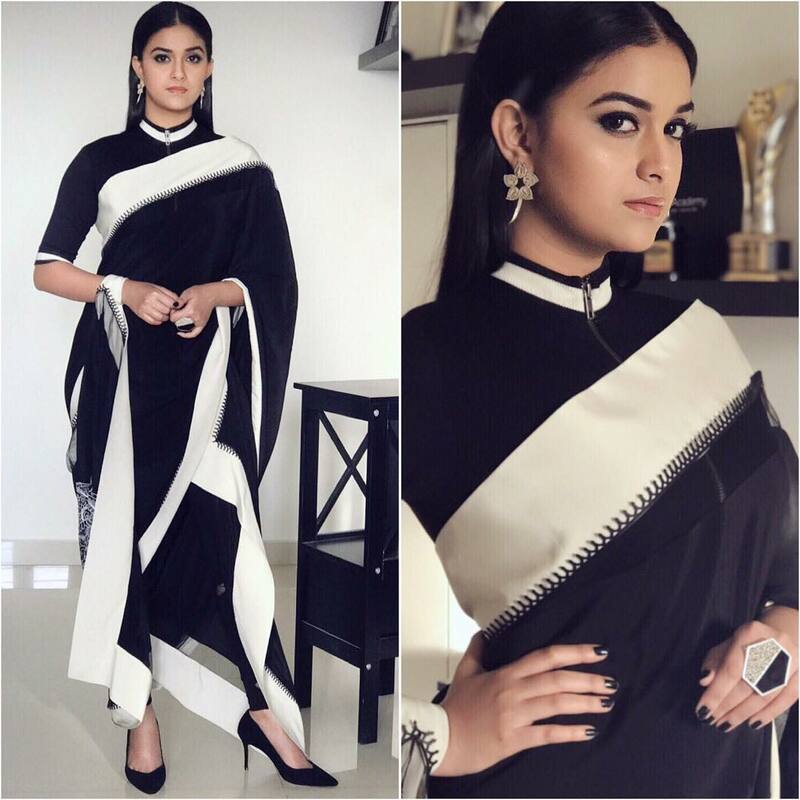 Keerthi Suresh surprised everyone this week at Behindwoods award event, wearing a concept saree drape from Shanthanu & Nikhil. 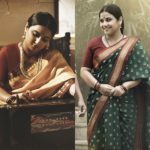 Quite refreshing to see her experimentation! 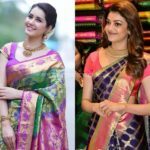 It was a glittery saree drape for Raveena Tandon this week. 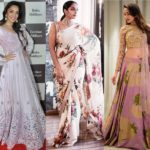 Off late she has been sporting enviable ethnic ensembles. And this is no exception. 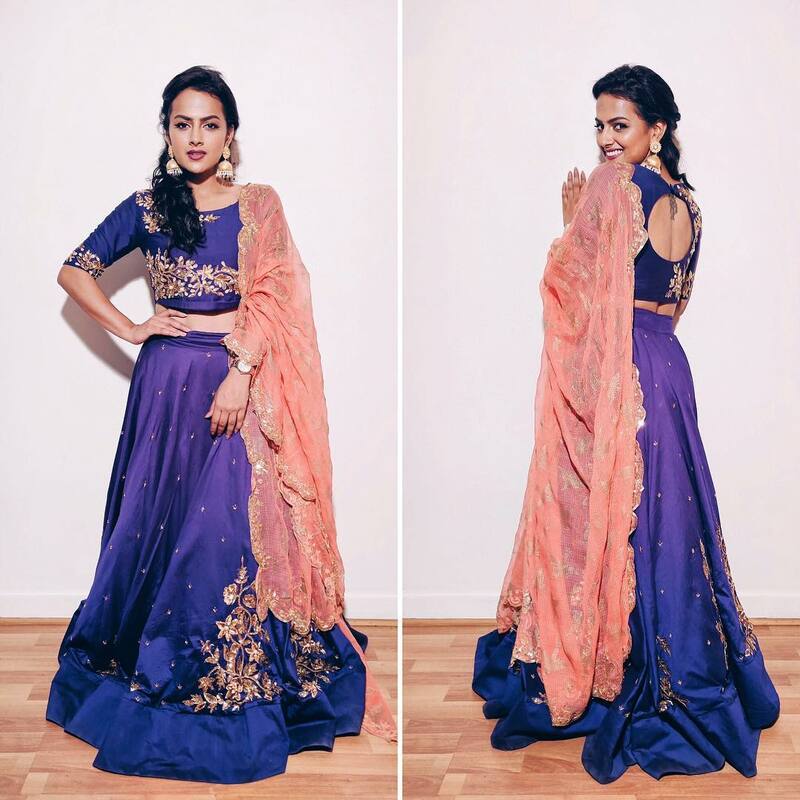 New girl, Shraddha Srinath gave a bright appearance at the audio launch of her upcoming movie by wearing a charming lehenga by Anitha Reddy. We love the colors. Peach and royal blue? We are noting it down. Sonam Kapoor was quite busy this week with multiple rounds of her birthday celebrations. 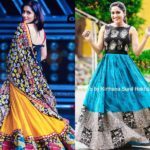 Amidst huge celebration, she was spotted wearing a dress – from her own label Rheson – over denim. We love the loud accessories here. That’s it for this week. Hope you have gathered all the style inspirations from the leading fashion girls of this week. 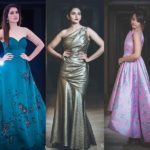 Let us know who is your best-dressed celebrity, by dropping a comment below.